A COMPLETE RENNOVATION IS ALMOST FINISHED! like. 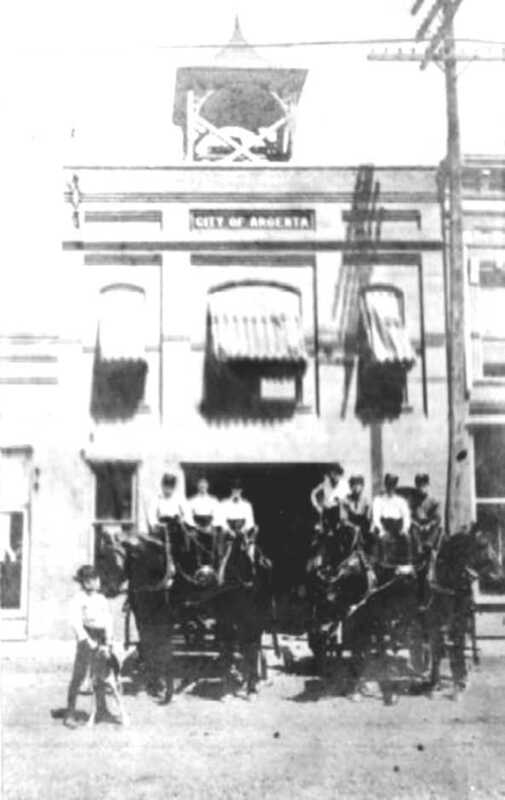 "City of Argenta" is proudly displayed at the top of the second story of this fine old building. current City Hall opened. This building is now completely rebuilt. What a great piece of history was saved! The plans that I have seen show that an "engine room" for a fire truck will face outward to main street. present Central Station was built in 1961. This building still stands today - completely refurbished! Old Central Station with a motorized apparatus inside. Note that the door was still for a single truck only. of the photo in the business suit was Mr. Robert Travis Owens, who owned the funeral home. 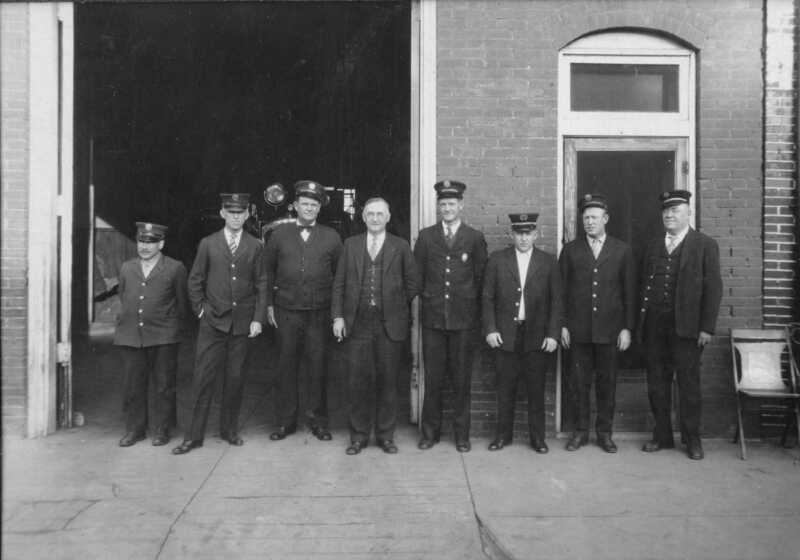 Jim Dancy (retired NLRFD Captain) identified the men in the picture as: "The Picture is from L - R Tom Crumley, Gaston McClain, Frank Neeley, Mr Robert T. Owens, John Neal, Raymond Nichols, August H. Dancy,& Chief Tom "Red " Welch.. It was Made at the front of the old Central Station 506 Main N. L. R. "
Another view of Old Central sometime during or shortly after 1925. This is the '25 right-hand drive Seagrave. It cost $13,000 new from the factory. A View of Old Central Station Circa 1955.
to the wall where the Captain could barely get in the truck. 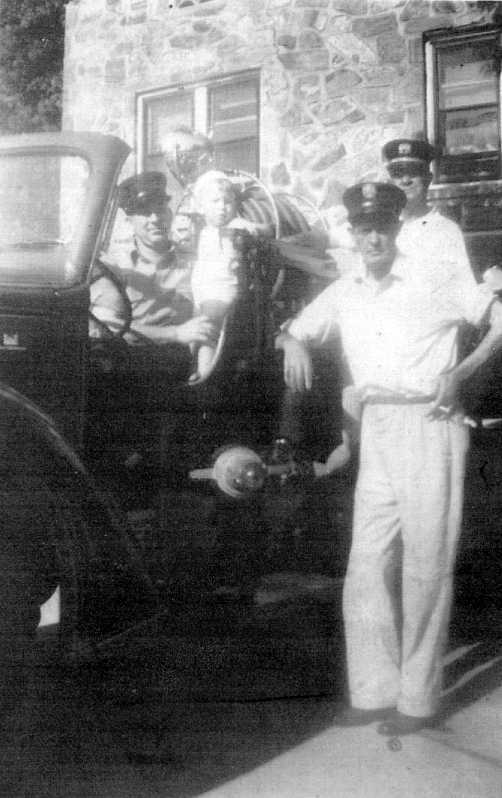 The pumper was either the '51 or '55 Seagrave. The front bumper resembles the '55 most. The bell that was on the '55 can not be seen, however. Any guesses? was taken. The apparatus is a 1925 Dodge/Foamite-Childs. 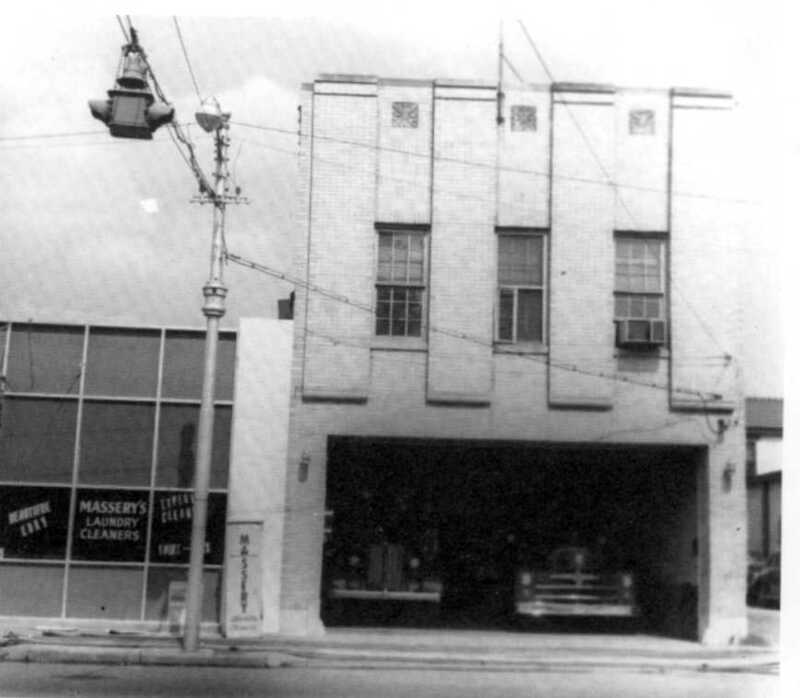 This Station 3 was built in 1941 and replaced the original Station on this site. a few blocks east on 15th to 15th and Schaer. Thanks to Jim Roberts for providing this photo and thanks to Tom Malone for granting permission to use it. 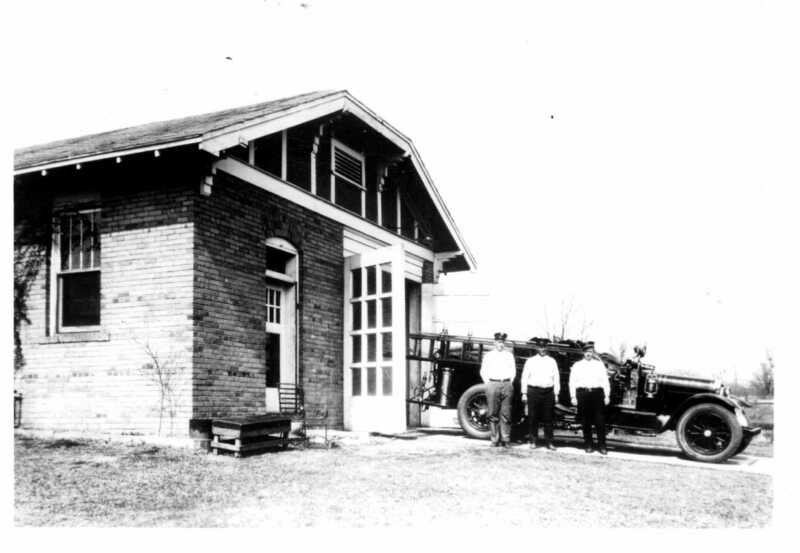 one from the Corps of Engineers to staff the Levy Station, until the 1947 American La France Pumpers were purchased. American La France, which had just received a new paint job in 1982 or '83.